Filing bankruptcy during divorce may sound like adding fuel to a large, burning fire but it can actually be a smart idea. 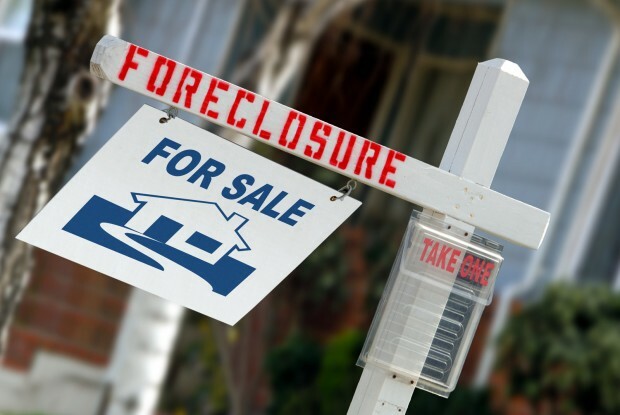 A bankruptcy lawyer may recommend this when the home is at risk of foreclosure. Chapter 13 bankruptcy stops the foreclosure process so the divorcing couple can prevent further damage to their credit. This action can make a divorce less stressful and enable divorce proceedings to progress more smoothly. Being able to stop foreclosure will make the divorce process considerably easier. When a petition for Chapter 13 bankruptcy is filed, a court order called an automatic stay is typically issued. This stops collection actions including the home foreclosure process, no matter which stage the foreclosure proceedings have entered. The divorcing couple then has 15 days to file a plan to repay the debt represented by mortgage arrears to really stop foreclosure. While this repayment plan is in place, the couple must make other mortgage payments as they come due. A divorce agreement or judgment establishes the mutual rights and responsibilities of the couple. Bankruptcy law has a limited effect on obligations outlined in this document even if the main purpose of the bankruptcy was to stop foreclosure. However, a property settlement agreement or order can be reduced or even eliminated by Chapter 13. This order or agreement represents a buyout or payment of the interest of the ex-spouse for marital property. If the divorce agreement stipulates transfer of the home to the wife and a future buyout of the interest the husband has in the home, the payment the wife owes can be considered unsecured debt. This enables it to be included in a Chapter 13 payment plan, which may cause it to be reduced or eliminated. When the repayment plan concludes following a three to five-year period, the balance of the debt will be discharged. A bankruptcy lawyer can advise a divorcing couple whether filing for bankruptcy to stop foreclosure and prevent the foreclosure of their marital home is a good idea. If Chapter 13 is recommended, the bankruptcy attorney will help the couple create a repayment plan that is agreeable to the mortgage lender. In some cases, one ex-spouse may agree to take on the debt and the attorney will handle this complex situation in accordance with the law. Foreclosure of their home is the last thing most divorcing couples want to face. Filing for bankruptcy during divorce to stop foreclosure may be one way to stay out of it. With guidance provided by an experienced bankruptcy attorney, the couple will prevent the foreclosure process from completing and buy themselves time to determine how past-due mortgage payments will be repaid.